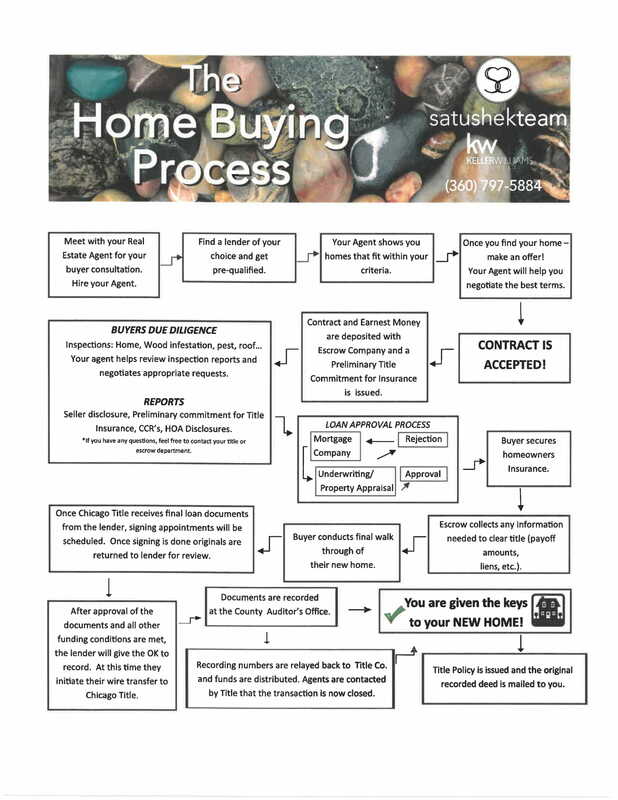 Below is a general flow chart describing the process of purchasing a home. We've also put together a library of videos addressing FAQs from buyers. Call us at (360) 797-5884 with questions or to set up an appointment!